It’s time for a little deconstruction of what went down at E3 this year. We’re pushing aside all the hype, bombast and showy PR tactics, and focussing on what really counts: the games. 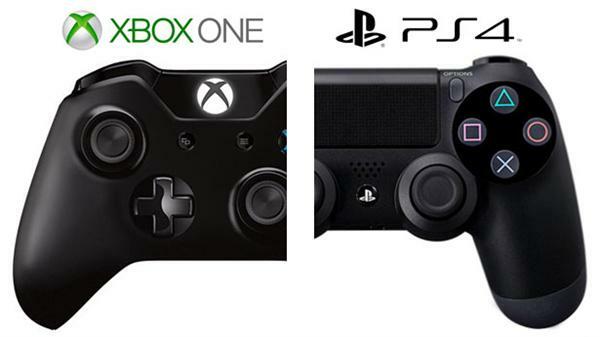 After last year’s conference, Sony came away as the clear winners, but this year the lines are a little more blurred. In fact, when we break it all down, it appears Microsoft wins. Let’s take a look. We’ll use a variety of criteria: whoever wins the most criteria wins overall. We’ve tried to include all the important factors, and will be looking at not only the three platform holders but also the two big publishers (Ubisoft and EA). This was very tight: Sony brought 42 titles to the table, as opposed to Microsoft’s 39. 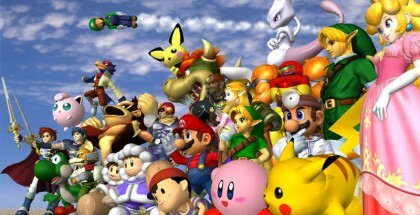 Nintendo, EA and Ubisoft aren’t close, unsurprisingly – all three had less than 15 to show. Sony scrapes a win here. Possibly the most important statistic: the games shown off that we’ll be able to play this year. Microsoft delivered 24 compared to Sony’s 20 and Nintendo’s dismal 7 (Ubisoft had 6 whilst EA had 8). As a percentage, Ubisoft clinch it with 75%, with Microsoft close behind at 62% and Sony falling to 47% – even Nintendo and EA did better, both with 58%. We’ll let Ubisoft and Microsoft share this one: Ubi wins for proportion, but Microsoft wins in terms of sheer quantity. Obviously only for the console manufacturers, this one, and once more we have multiple winners. Sony had the greatest quantity with 15, but all of Nintendo’s 12 games were exclusives. Microsoft had 10 – just 26% of their showing. This is a big one. We’re getting a little tired of the same sequels over and over: mixing things up is always welcome. Microsoft had 24, Sony had 8 and Nintendo had 20, whilst on the publisher side EA teased two new franchises and Ubi had 4. Once again, Microsoft wins. This wasn’t even a contest. Aisha Tyler once again rocked Ubisoft’s E3 conference, presiding over a slick and super-professional show. Sony and EA suffered particularly in this category: a lot of slow moments, forced jokes and autocue. Microsoft were average at best, but Nintendo came a close second (though they had the advantage of a pre-recorded show). Unquestionably Nintendo, with Zelda Wii U: the buzz generated on Twitter was nothing short of insane. Possible challengers are Bloodborne and No Man’s Sky, but Nintendo definitely walks it here. Last year, Microsoft were criticised for a lack of focus on games, and they sure fixed that. 67% of their 90 minute conference was about games, compared to Sony’s 54%. Ubisoft and EA have 100% here, but we’re discounting them seeing as they’re publishers – they have little else to show. These are games that weren’t announced before the conference: we’re ignoring leaks as they’re unavoidable. Not including stuff from showreels, Microsoft had 8 unannounced titles, Sony and Nintendo both had 7, and EA and Ubisoft had 3. Microsoft wins: barely. Sony are renowned for their indie-friendly approach, but they’ve been usurped by Microsoft this year. Microsoft brought out a phenomenal 19 titles: ten more than Sony’s 9. Yet Nintendo were the unexpected champions, with 27 indie titles shown off! That’s a solid win for them, and a great show of how the eShop will soon be improving. Microsoft wins overall with four points: Nintendo’s in second place with three, and Sony are the worst of the platform holders with just two wins. On the publisher side, Ubisoft matches Sony’s two: besting EA who haven’t won a single category. What we’re seeing here, then, is a shift. Microsoft are doing better than anyone at the moment: there is no question that they’ve won E3 2014, and Sony need to start playing catch-up. The gaming landscape is changing once more: Holiday 2014 will be an interesting time indeed. Check out our full E3 coverage over at our E3 Hub. Thanks to anonymous reddit user for these graphs, which were used to help work out the stats. Wow, I’m not saying you’re wrong, but I’m not sure I agree. I’m going purely off of which system I’m most excited about after E3, and Nintendo wins with Sony and MS tied. That’s my opinion. Yeah, it’s always going to be a little more subjective than the numbers make out. The real winners are gamers: we saw a lot more multi-platform support than normal. MS did great and should be recognized for it because in the end gamers win. Lol!! I got a chuckle out of the criteria used to determine a “winner”. The fact of the matter is it’s all personal choice and what type of games you like to play. Sony, Microsoft, and Nintendo all did a good job and had quality E3’s. There was a clear winner for me, but again, that’s based on the games I like to play and what I intend to buy. But I think in the end that is the only criteria gamers can use to judge, because we all like different things. So in reality there can be no “winner” of E3, because everyone’s opinion will differ. I believe Nintendo should have won the time Spent on games category because of the 3 Day long Nintendo Treehouse Event, Covering Games the ENTIRE time… Therefore Nintendo should get that point. Nintendo had like 3 days dedicated to streaming about games, how is it that MS gets that point? All Nintendo games showed where shown with gameplay too, not freaking CGI trailers, they went in depth with the developers and showed extensive footage. Man, was this article thrown in about 10 minutes? If you look at the charts the criteria he used is all those charts, great way to do journalism. Delusional. Nintendo won E3, then Sony with 90 minutes of solid gaming and some hardware announcements. MS needed megatons and they failed to deliver. The Xbone’s floundering will continue. Nintendo won, hands down. 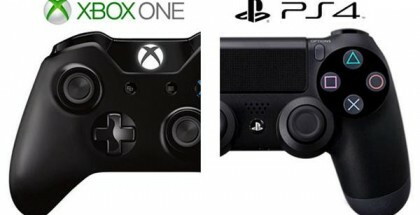 MS did well, and Sony failed hard. I have a PS4 and Wii U, and was very disappointed with what Sony showed. Hell, when will I get my hands on some of those games? 2016? I’m tired of people seeing tech demos at E3 and hyping the crap out of them. At least Nintendo showed me actual games, that are far along in development, and will be released in the next 18 months. Nintendo won, in my eyes. The quality of the games were strong, and they even had a plethora of games not show off in their conference at E3. MS made me think about an Xbox one, but the games I want to play on the xbox one, will be on the PS4, like Dragon Age, Mass Effect, Batman, so no big deal for me there. No to mention, Nintendo didn’t show any tech demos, or games that aren’t going to be released within the next 18 months.